You may remember one of my last images of my 1987 Marinoni (above) fully dressed in Campagnolo Nuovo Record attire taken on my last ride up to Simon Fraser University. That was November 2010. 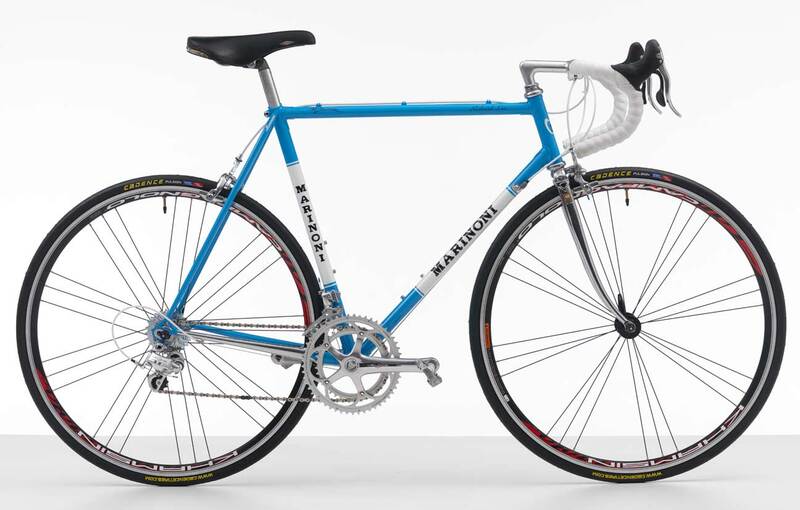 Like a trusted friend I had my Marinoni right up to the last day before it's restoration. A milestone was about to come to an end. With the help from Peninsula Cycles, I decided to send the frame back to it's birthplace, for a re-paint to Terrebonne, Québec the home of Cycles Marinoni. I'm the original and proud owner and I wanted to give my old friend a new look. 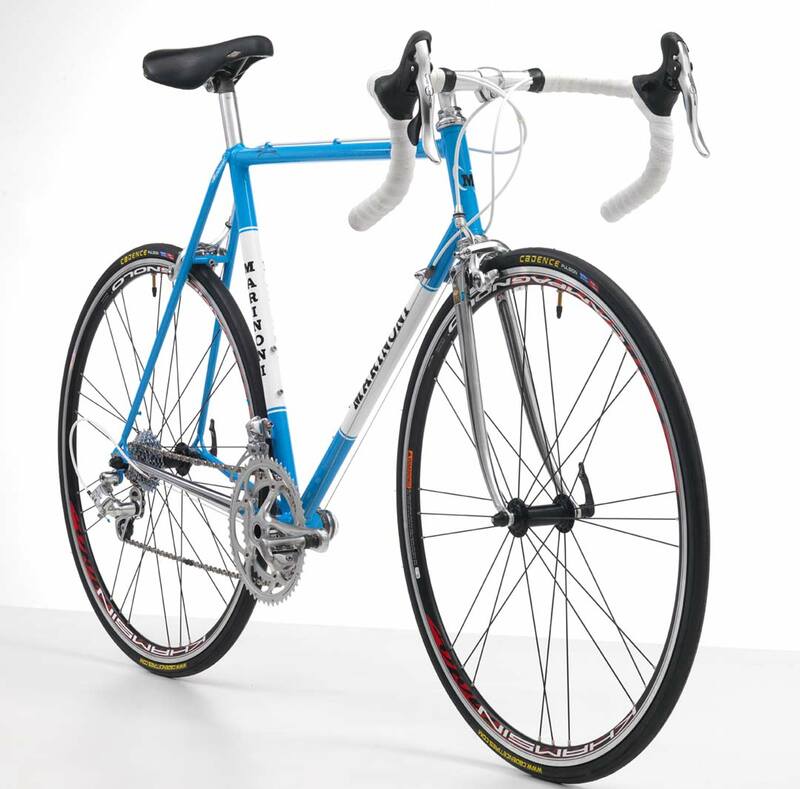 I went for the new 2011: Campagnolo Veloce groupset (170mm 53/39 crankset, 12-25 Veloce 10 speed freewheel) and Khamsin wheelset. Of course, it would be a travesty for key original parts to sit idly by. 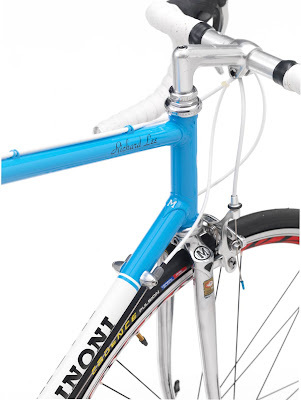 So I kept my San Marco Rolls seat, NR seatpost, Cinelli Campione Del Mondo handelbar & stem. When I picked it up, last week, I couldn't believe the transformation. 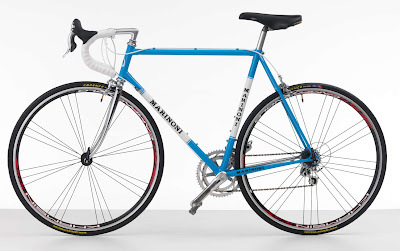 The Marinoni medium blue is exquisite and I love the retro white banding. 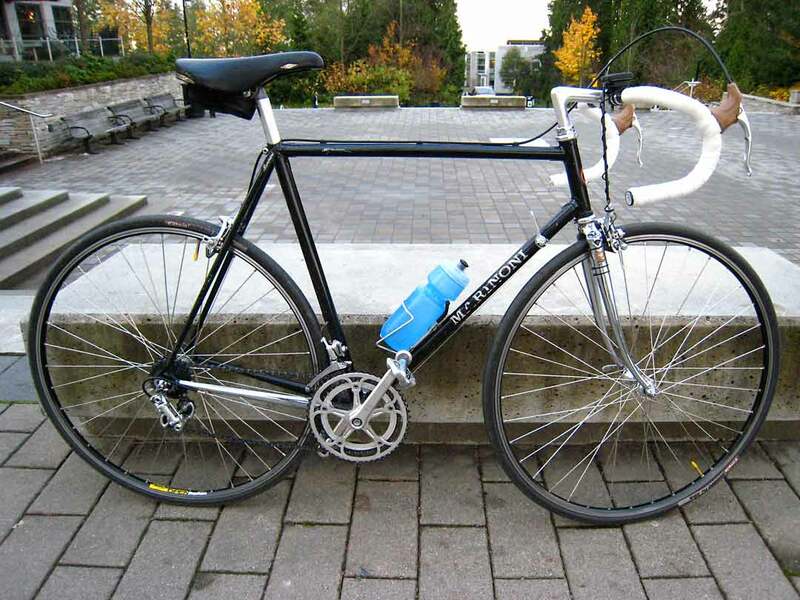 My friend Hans expressed interest to photographed my new steel lugged pride & joy. And he said, "Now don't go riding it in the rain before we shoot it!" Damn! I had to make sure not to get it dirty and not ride it until after the shoot was over. Hans Sipma is one of Vancouver's most established commercial photographers and I was extremely happy of his offer. Friday morning was all fun and it was probably the only time I've had the pleasure to watch Hans in action. In fact, he weighed my bike on a hanging scale and it clocks in at just over 21 lbs. Not bad. I took so many images during the photo shoot that I will have a 'behind the scenes photo shoot' post forthcoming. I just want to express my deep gratitude and a huge Thank You to: Damian, Les, Simon & the rest of the crew of Peninsula Cycles for helping me guide this project to a winning finish, Cycles Marinoni for the exquisite re-paint, groupset & wheelset, Hans for the striking images and lastly, to Carolle and Guy as my loyal support crew! 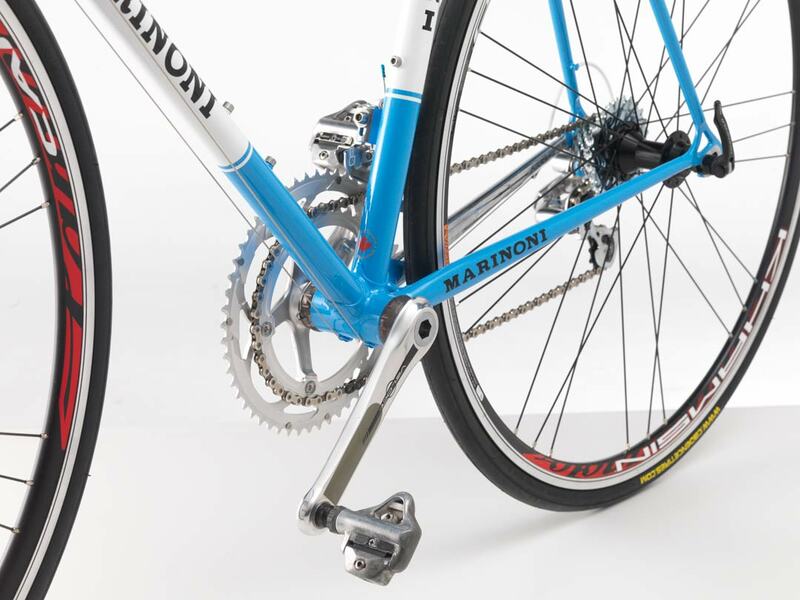 Enjoy these amazing images of my new Marinoni! That is one svelte looking beauty. Should be fun to ride. Looks Brilliant, Can I take it to Flanders next week ???? That's one beautiful machine. Thanks for sharing these photos. 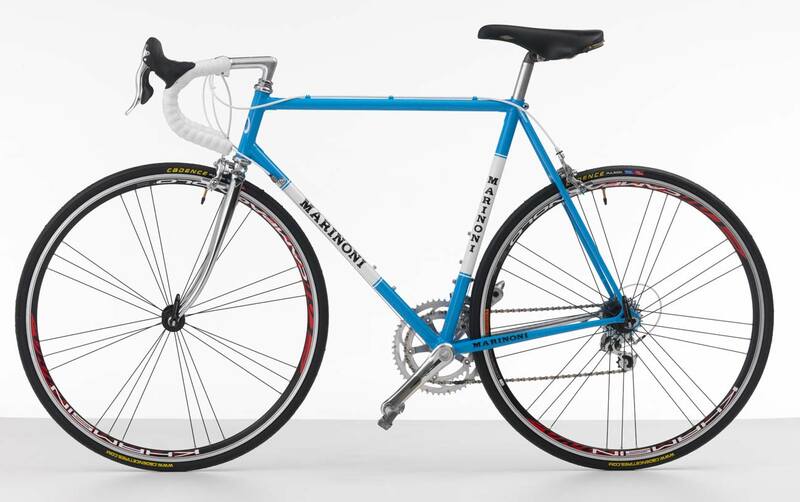 I'm 85% jealous and 15% determined to save my pennies and invest in a bike that will be worth restoring in a similar fashion. Actually, your photos make me closer to 100% determined to make the kind of good decisions you clearly have. That doesn't mean I'm not terribly jealous though. . .
That's one droolingly beautiful set of wheels. Thanks! It is indeed a beauty! Thanks! You know...It would look great with your Le Belge cap! Then can I use your Passoni? I'll pass the good words to Hans. If I had to do it again... I would! Cheers! your Marinoni looks really good! 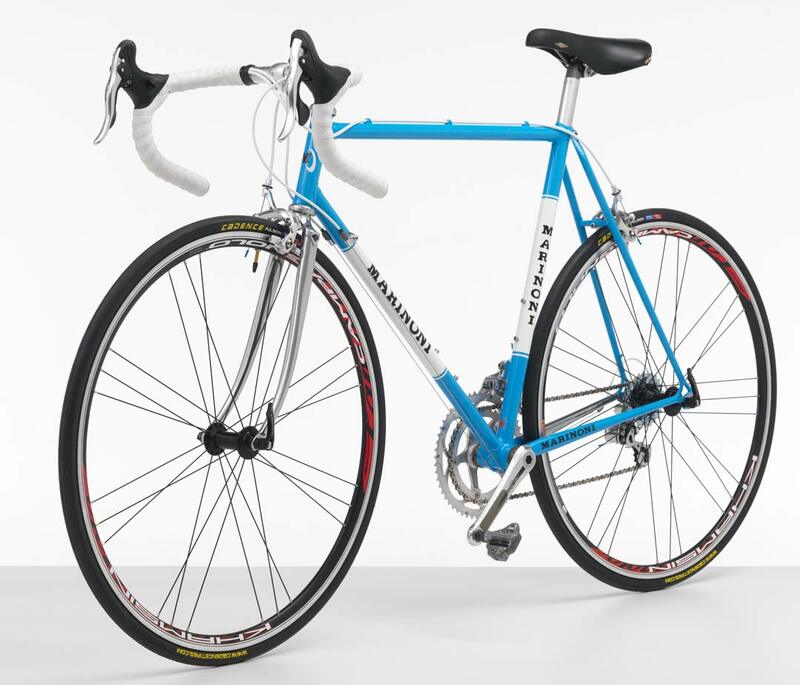 I finally had a chance to ride it and you know, it feels like a new bike, it's so sweet! Cheers! Great photography of a great bicycle! 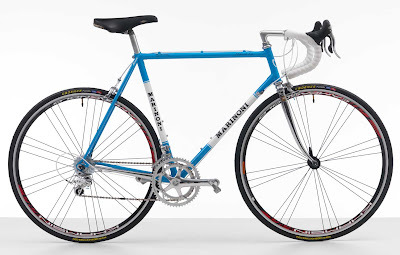 I had the good folks at Marinoni refinish my Ciclo two years ago, and they also did a Raleigh Team Pro for me. First-rate workmanship at very reasonable prices. Enjoy! That's fantastic! 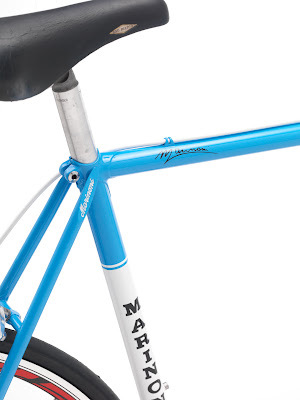 I didn't know they refinish frames other than their own. I'm very pleased with what they've done bringing my old friend... back. Cheers! and it looks great built up, especially since it's a rider and not wall art! cheers. And I can tell you it rides so sweet! cheers!